Giggle is co-owned with Tim and Lisa Thomas. 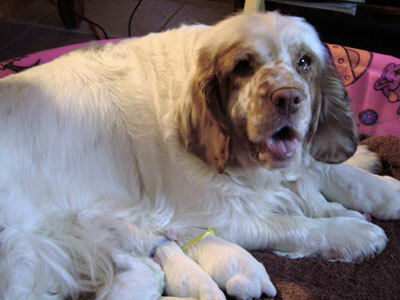 She has been one of our top producers with puppies competing in hunting and tracking events as well as the show ring. She is now retied to the sofa with Tim and Lisa.